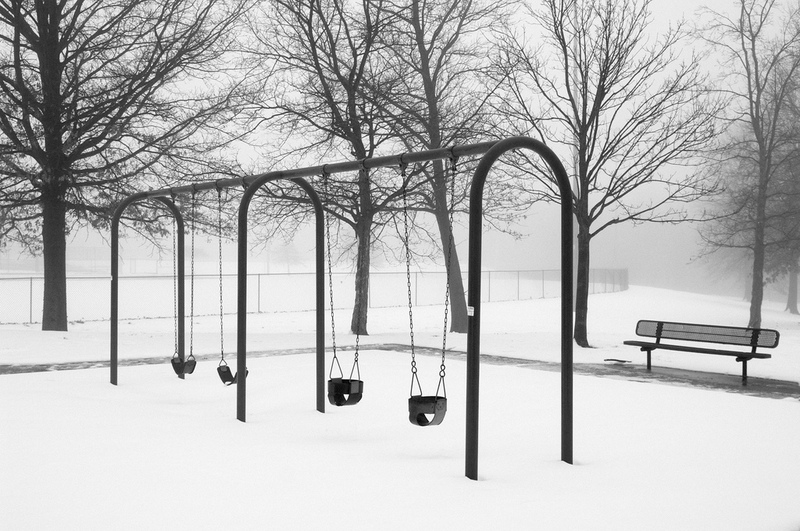 Description The fog and the juxtaposition of snow and playground caught my attention. Of these two, I do like this one better. Maybe the swings should have gone south for the winter.